For Kierra Fletcher, a rising star for women’s basketball, the sport has always been a family affair. “When I was younger, I would go with [my dad] because he played in a basketball league … so I was always around him playing basketball” she said, talking about her memories of growing up and discovering basketball. After realizing his daughter enjoyed the game, her father began to teach her how to play, “and it just went on from there,” she recounted. 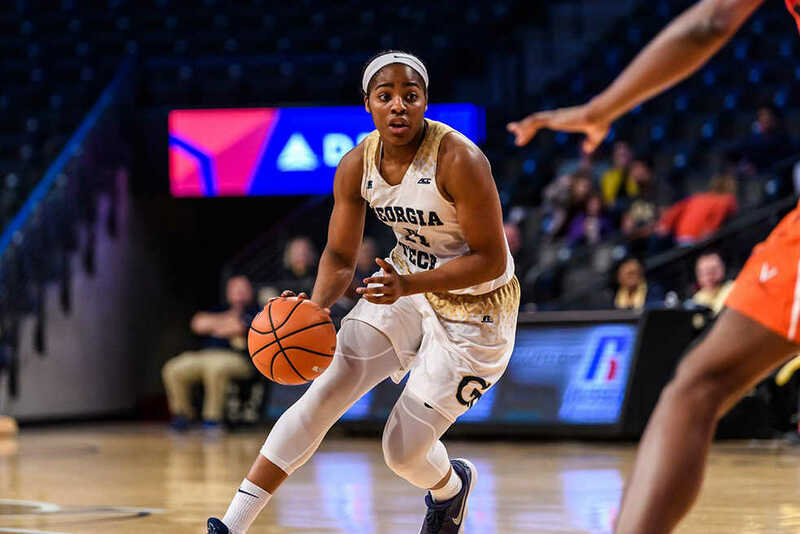 Thus began a life-long love affair with basketball for Fletcher, one that has taken her all the way from Michigan to Atlanta. As a highly touted five-star recruit from Cousino High School in Warren, Mich., Fletcher lived up to the hype thus far, cementing her place as a starter while posting 7.1 points per game, 4.9 rebounds per game and leading the team in assists. Last week, her efforts were recognized as she was named ACC Rookie of the Week after posting 18 points and nine rebounds in 28 minutes against UNC. Fletcher was speaking with modesty about her “few good plays” — Fletcher recorded 27 points and eight rebounds in the game, including five crucial points late in the game that sealed the victory for Cousino over Detroit Martin Luther King High School during the 2016 Michigan Class A State Championships. Fletcher has meshed well with Tech and has relished playing with her talented cast of teammates. Compared to high school, Fletcher has much less of a burden for scoring placed on her, and has instead played a balance game thus far, getting good shots off while picking up boards left and right. Among Tech’s main starting five of Francesca Pan, Chanin Scott, Elo Edeferioka, Lorela Cubaj and Fletcher, Fletcher has posted the highest FG percent in conference play (.440), and is No. 3 on the team in overall points behind Pan and Zaire O’Neil.